The TRT IATR programme proves that the only disability in life is a bad attitude! 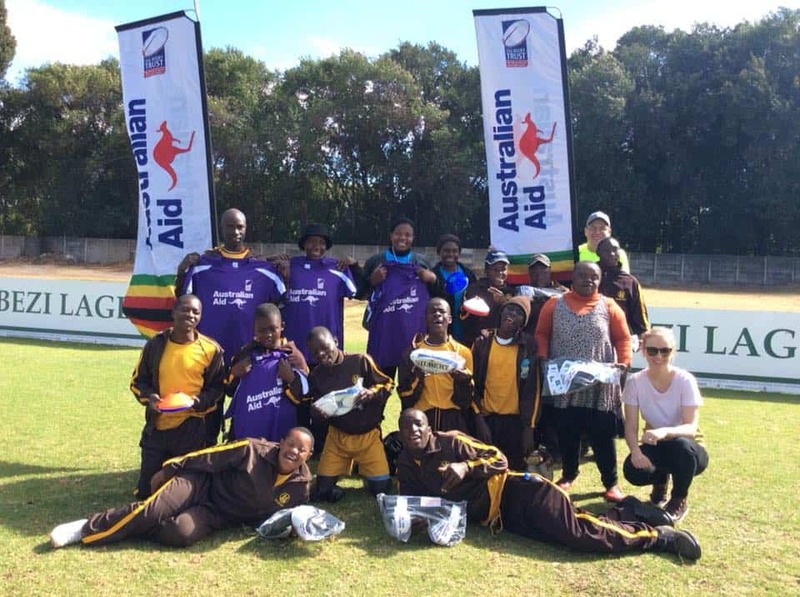 The I’m Able Through Rugby (IATR) project is designed to promote the ABILITY in disABILITY. For far too long the common misconception of people with disabilities (PWDs) has been that they aren’t capable of achieving things able bodied people can. Through the IATR programme a platform has been created to showcase their capabilities in an open and inclusive environment. 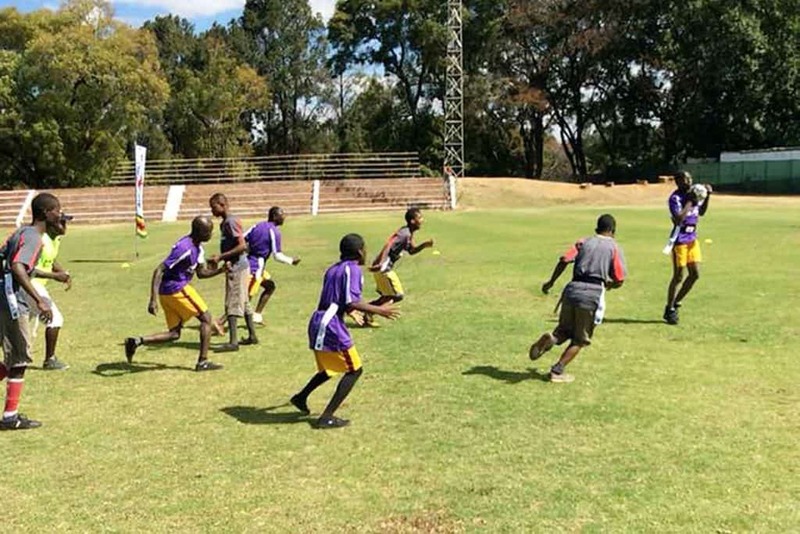 As Tag Rugby Trust (TRT) is built around the community, this initiative helps the IATR members be included and accepted by other members of the community in which they live. It also provides anyone in the IATR programme with a pathway through the TRT programme as a whole. 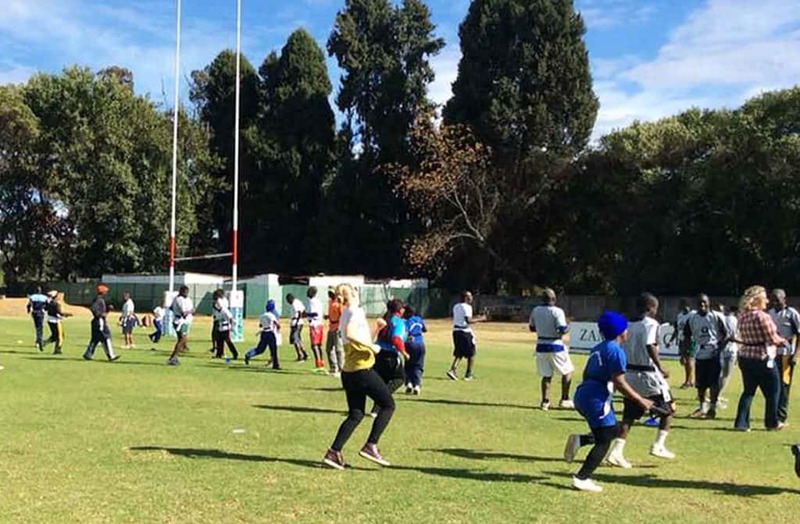 Friday the 20th of July 2018 was a landmark moment for TRT Zim’s IATR (I’m Able Through Rugby) programme, as we ran our first major tournament. 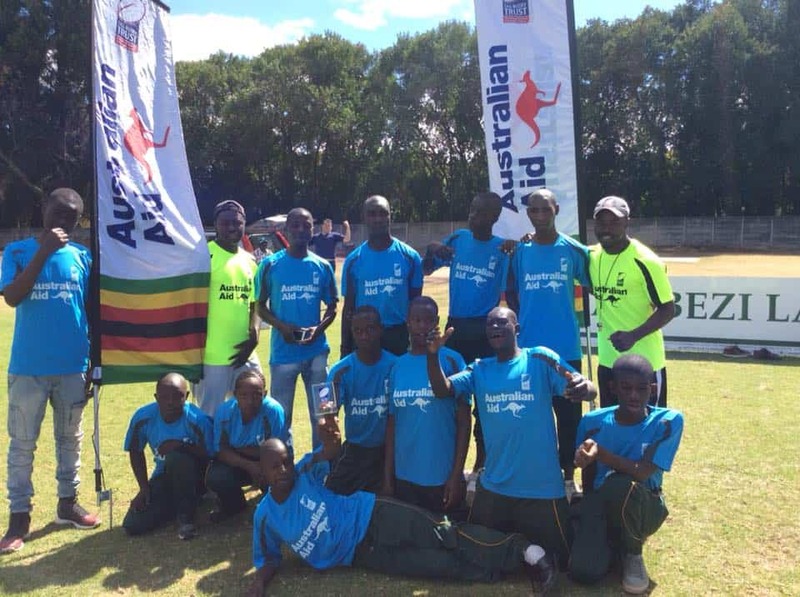 Powered by fantastic support from Australian Aid, we were joined by 6 Zimcare centers: Batsirai, Homefields, Ruvimbo, St Catherines, Sharon Cohen and Zambuko. These centers form the core of the IATR program and are the pioneers of TRT Zimbabwe’s IATR initiative. 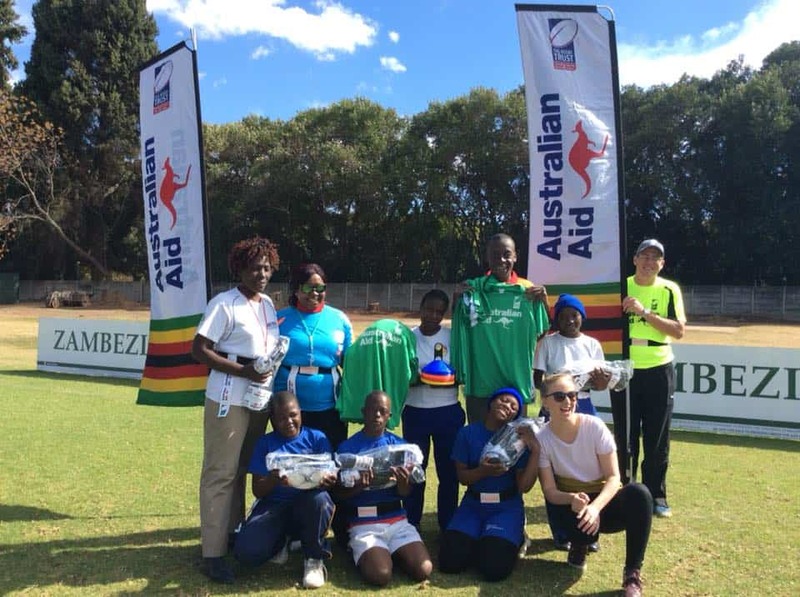 We were also joined by Nora and Amanda from the Australian Embassy, Harare who joined us on the day to present and handover new kit and equipment. As teams were arriving the day was kicked off with various warm up games; passing and catching, tag chaos and bulldogs which saw the joining in of coaches, volunteers and OUR SPONSORS too. Tons of laughing and smiles by all. 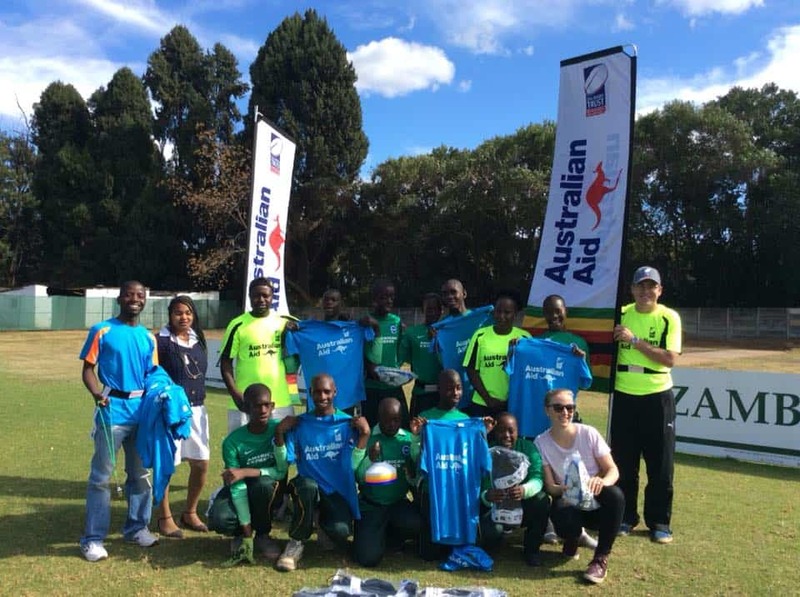 When all teams had arrived, Des the project co-ordinator kicked off by welcoming everyone to the day and taking no time at all to introduce the sponsors who were delighted to unveil the IATR kit for Tag Rugby Trust Harare. Teams were gifted with new balls, cones, tags and T-shirts which was followed by more smiling. As the presentation was coming to an end, the sponsors also received a token of appreciation from TRT Zim and they, too, said a few words. Tournament kicked off with a bang with Homefields taking on Batsirai followed by Sharon Cohen competing with Ruvimbo. It was staggered between two pools of three, seeing each team play 2 games in the round robin stages. After the pools were decided, 4 more knock out games were held. At the end of it all the team from Chitungwisa, Sharon Cohen, were crowned champions of the event. Special mention to Coach Washy and Coach Boxer as without their help the program and day would not have been a success. 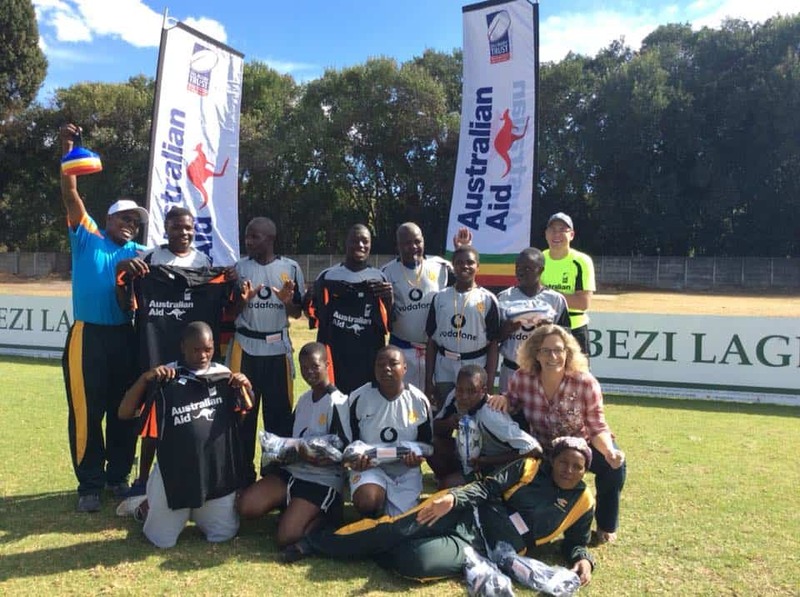 A mighty “thank you” goes to Australian Aid through their offices in Harare. 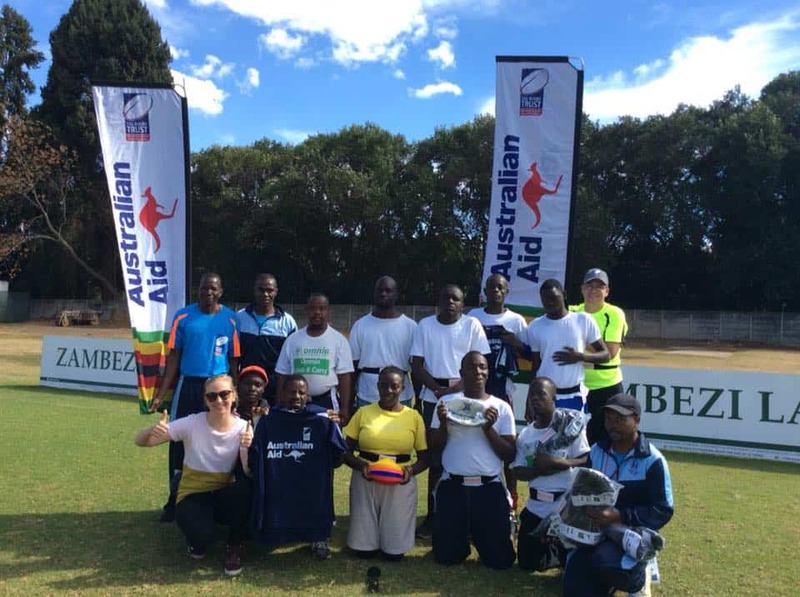 Due to their commitment and support the program has made huge strides and has given TRT Zimbabwe the platform needed to expand and grow the project further.